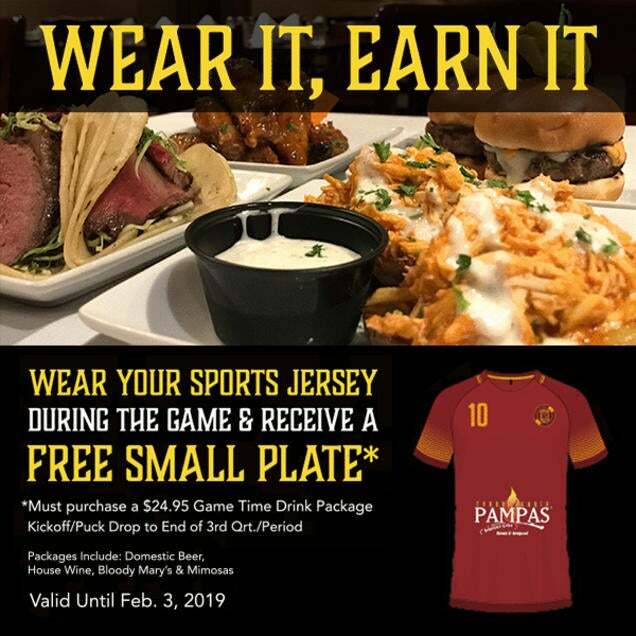 Wear your favorite sports jersey during the game and receive a free small plate when you purchase a $24.95 game time drink package. Packages include: domestic beer, house wine, and bloody mary & mimosas. Valid from kickoff/puck drop to end of 3rd quarter/period. Available until February 3, 2019.